Red Bank Accident Lawyers | Law Office of Robert Olkowitz, P.C. If you or someone close to you has been injured from someone else's negligence, you need an accident attorney to ensure you receive the compensation you deserve. At the Law Office of Robert Olkowitz, P.C., we deliver personal attention for your injury case from a rational attorney who clearly outlines your options. We are compassionate about your needs, yet aggressive in fighting for your rights -- the perfect combination as you hold irresponsible people or companies accountable. Brain injuries. These are some of the most serious injuries, as their effects may last a lifetime. If you or a loved one has suffered a brain injury due to someone else's poor behavior or negligence, seek the advice of a slip and fall lawyer to see if you're entitled to compensation. Defective products. Manufacturers are sometimes guilty of knowingly distributing unsafe products that result in injury. Even if a recall has been issued for the product in question, you may still seek damages if you believe the company did not do an adequate job of publicizing the recall. Pedestrian accidents. Pedestrians have the right away in almost all circumstances, so if motorists fail to watch out for you while you're walking or on your bicycle, they may be held liable for any injuries. Defamation. This occurs when someone communicates false information about you either in writing or spoken word. While the injury likely is not physical, it can drastically impact your reputation in a negative way. Dog bites. Owners have a responsibility to protect others from their pets. 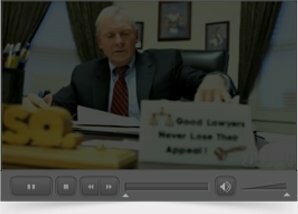 If you have been bitten by a dog, speak with an attorney right away. We also assist with a wide range of other personal injury and workers compensation issues, and so don't hesitate to speak with an attorney to explore your options for collecting damages after an injury. For all of your needs related to personal injury after an accident, call the Law Office of Robert Olkowitz, P.C. at 732-741-7444 or contact us online. With offices in Red Bank, we serve individuals and families throughout the state. Remember, you don't have to pay any attorney's fees unless your case is successful.